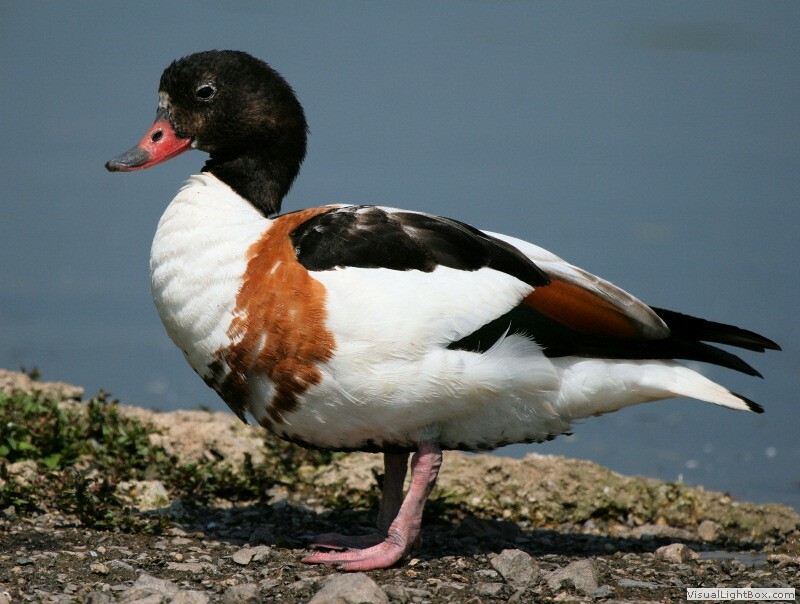 Identify Shelduck - Duck - Wildfowl Photography. 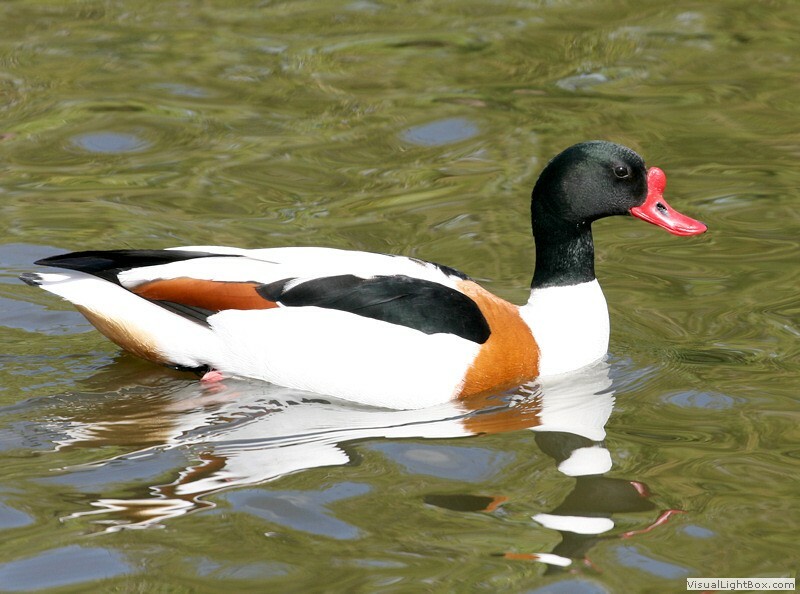 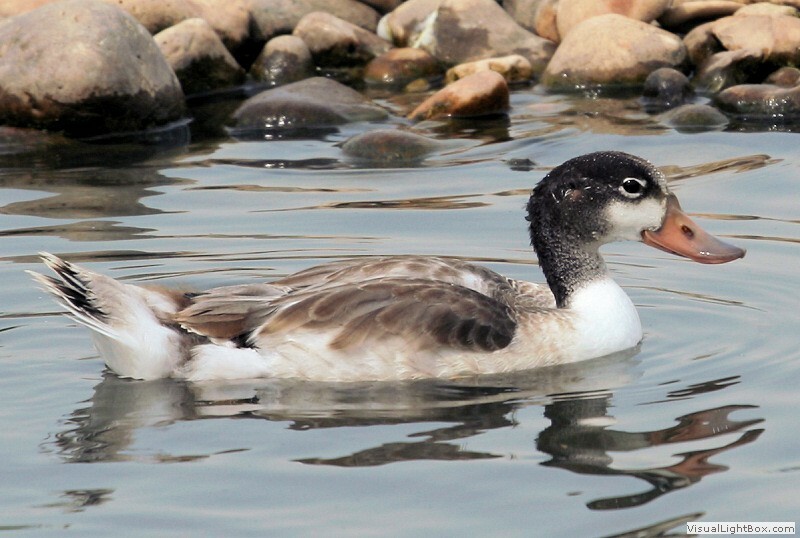 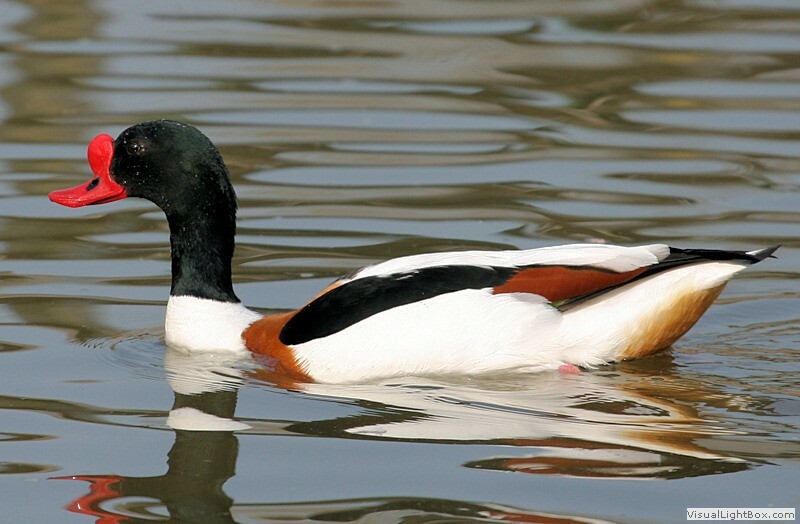 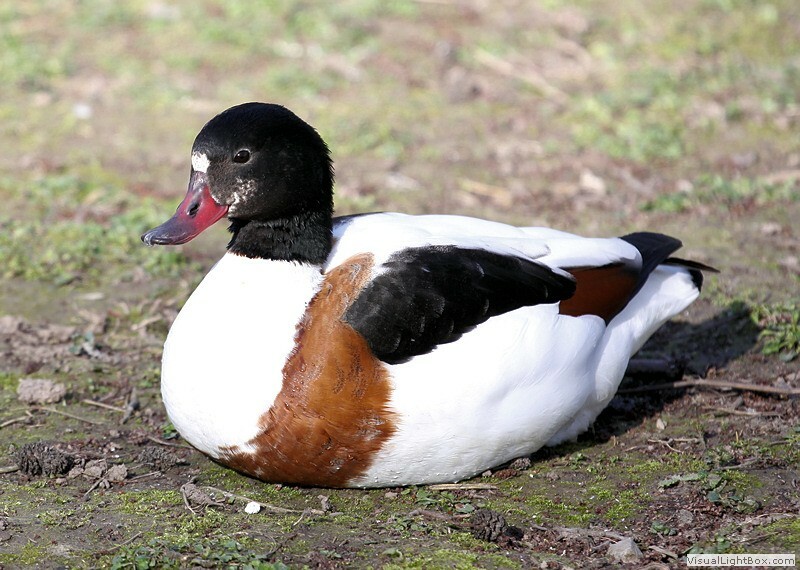 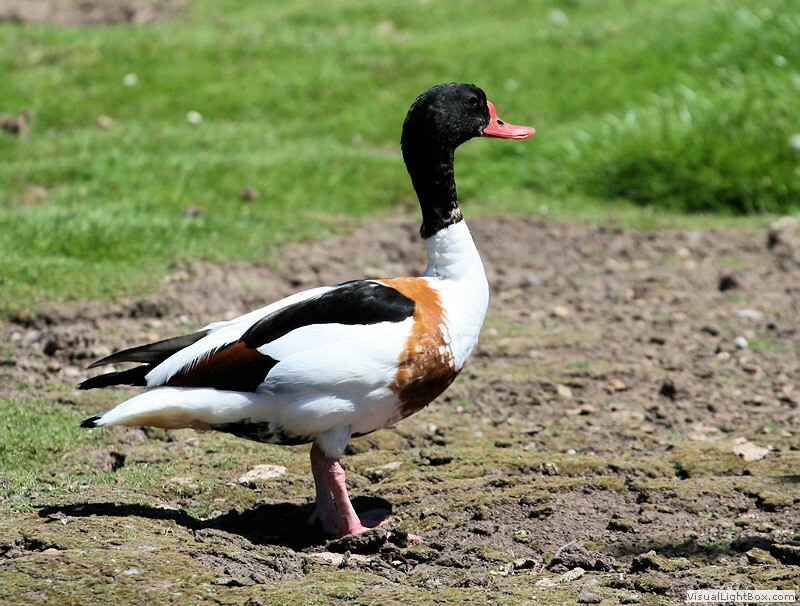 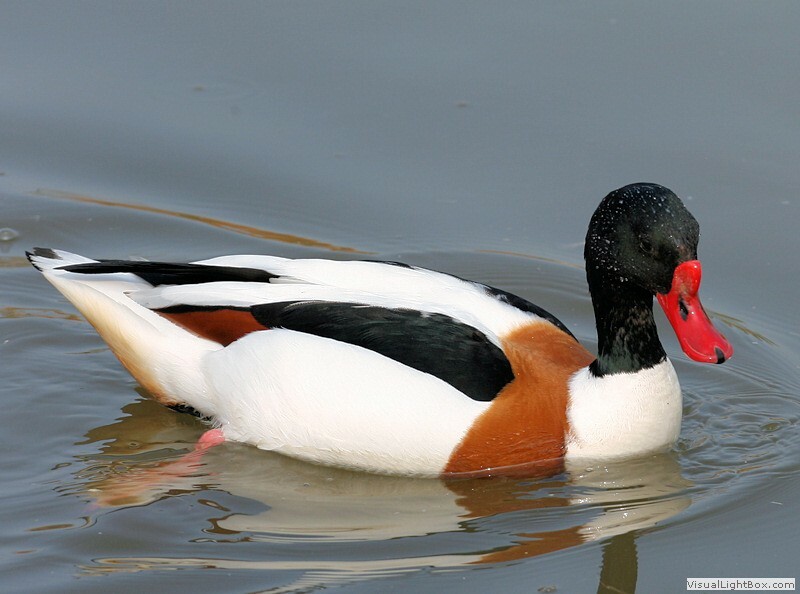 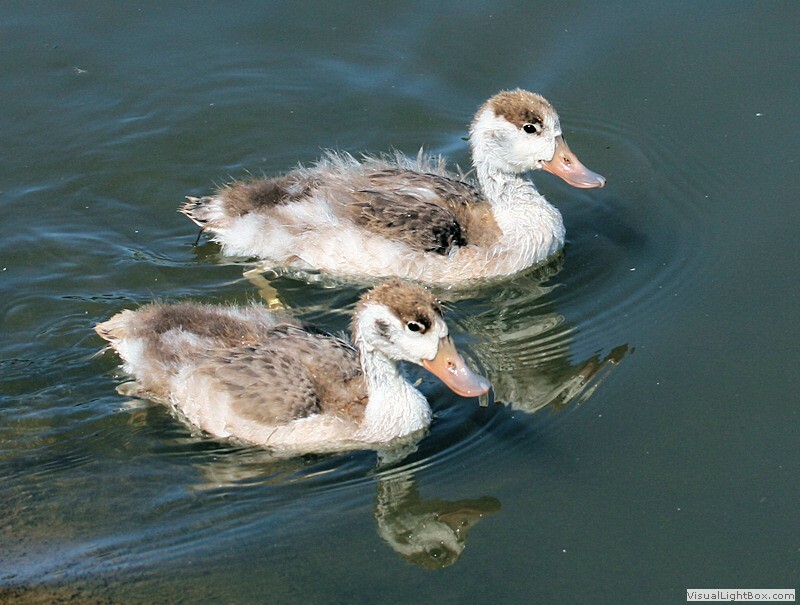 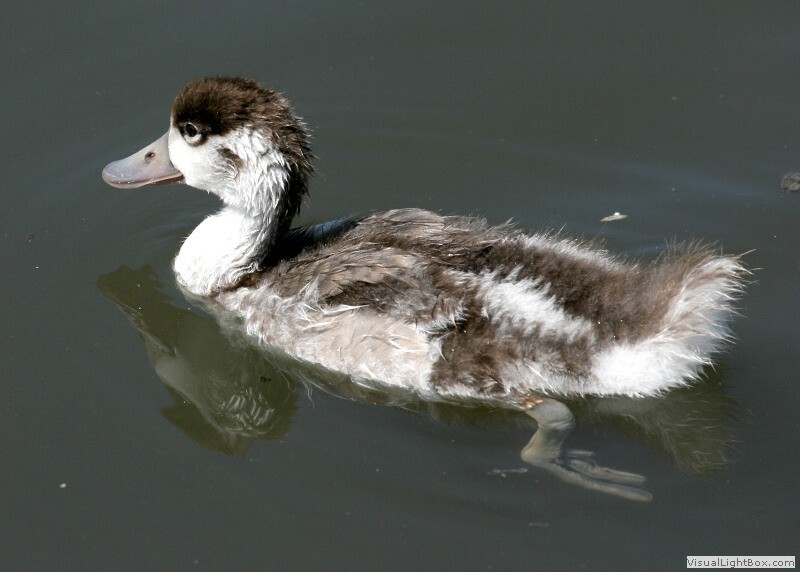 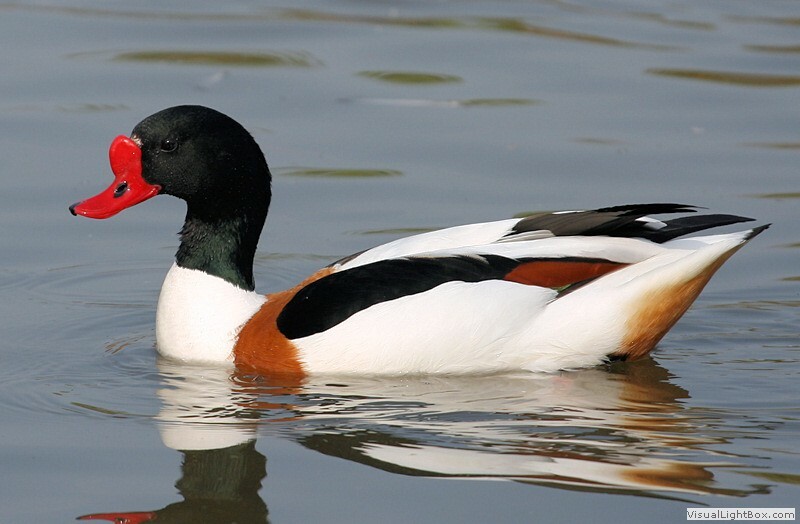 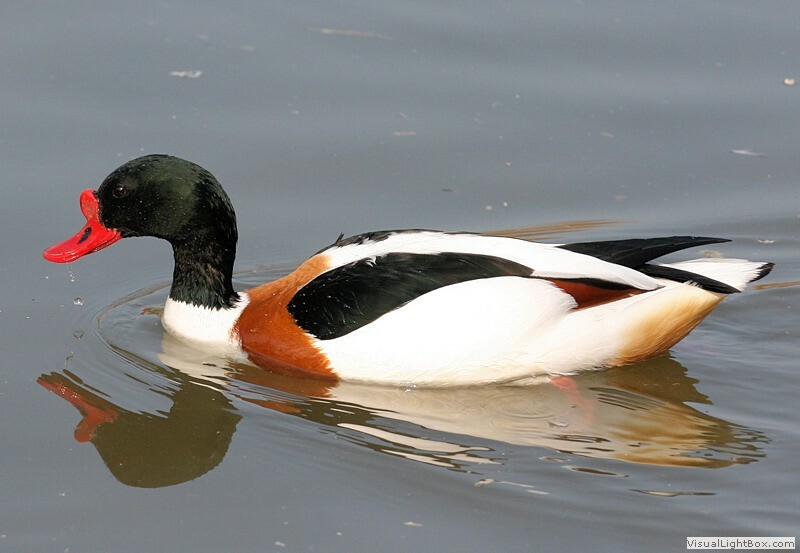 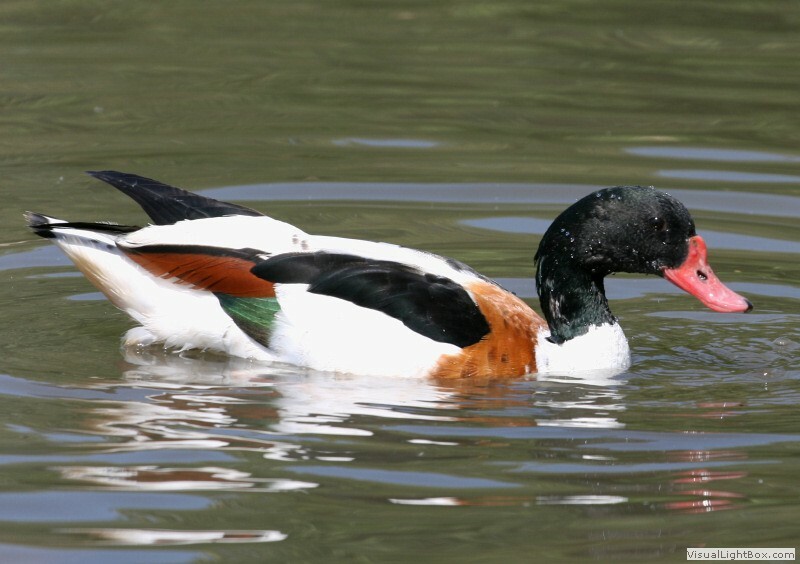 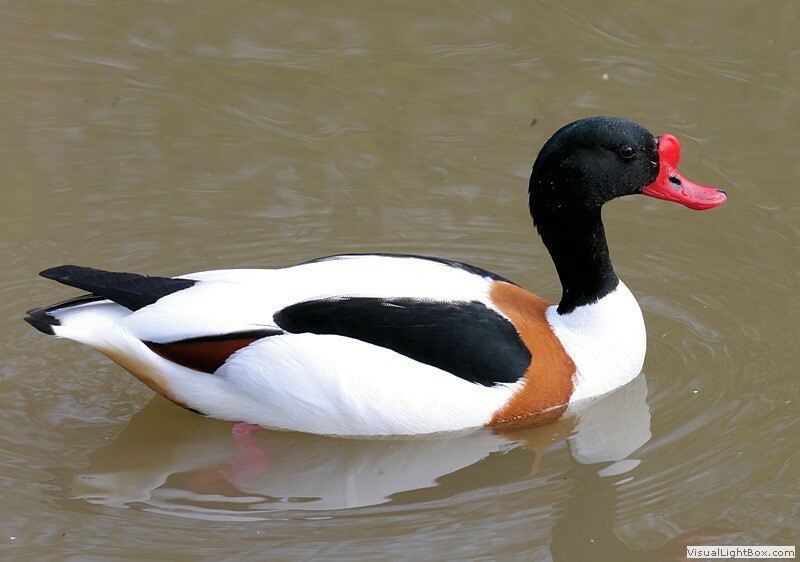 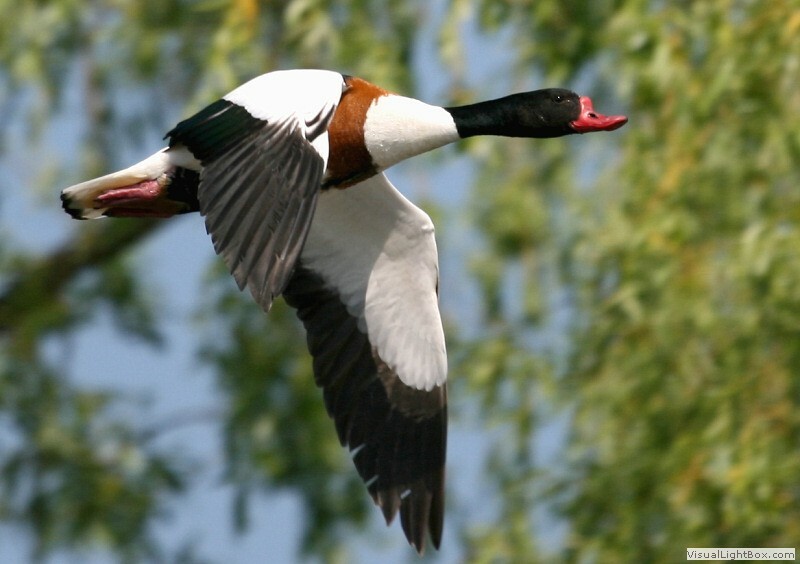 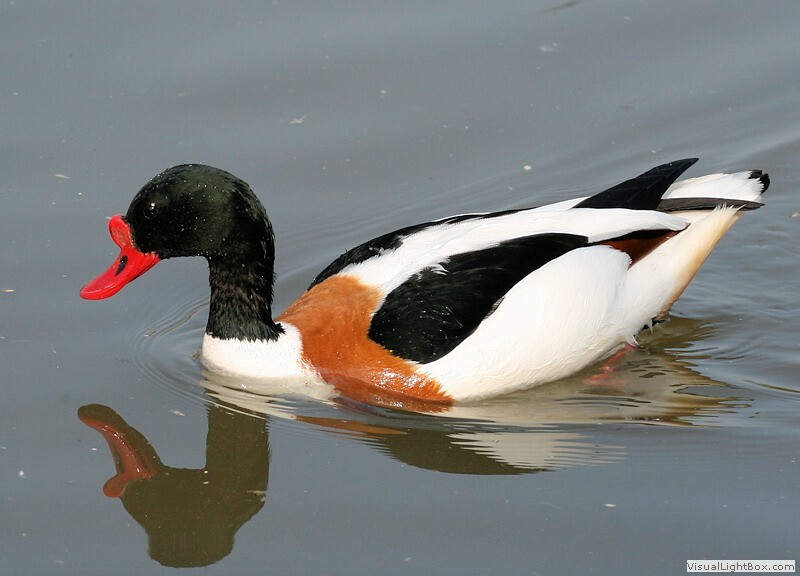 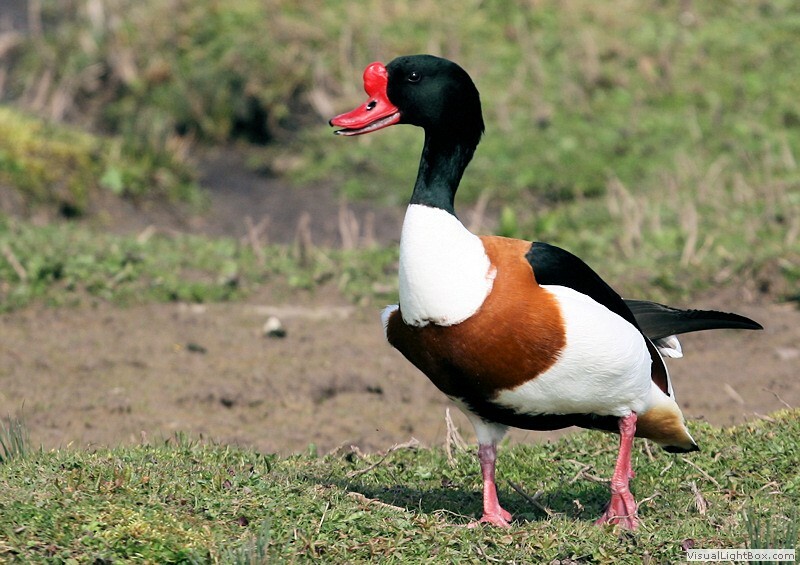 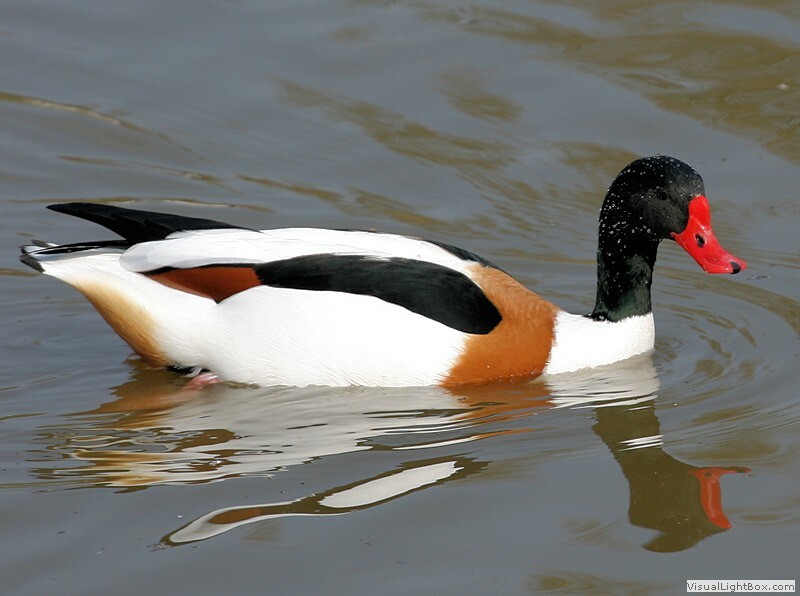 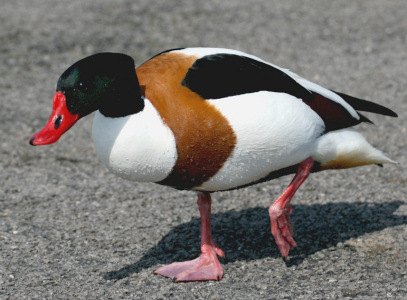 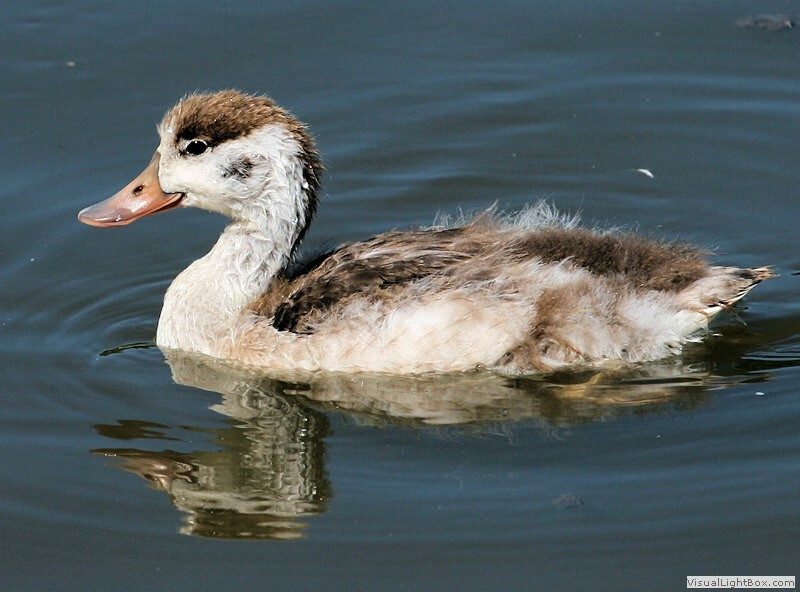 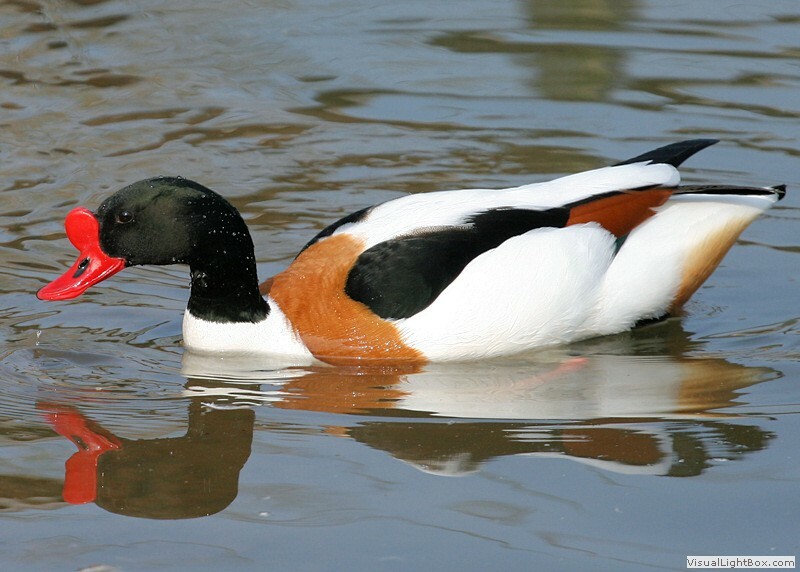 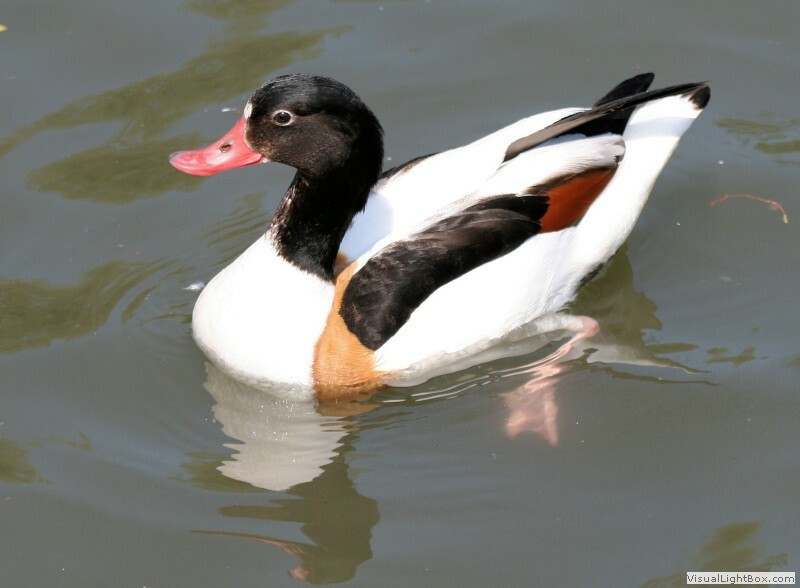 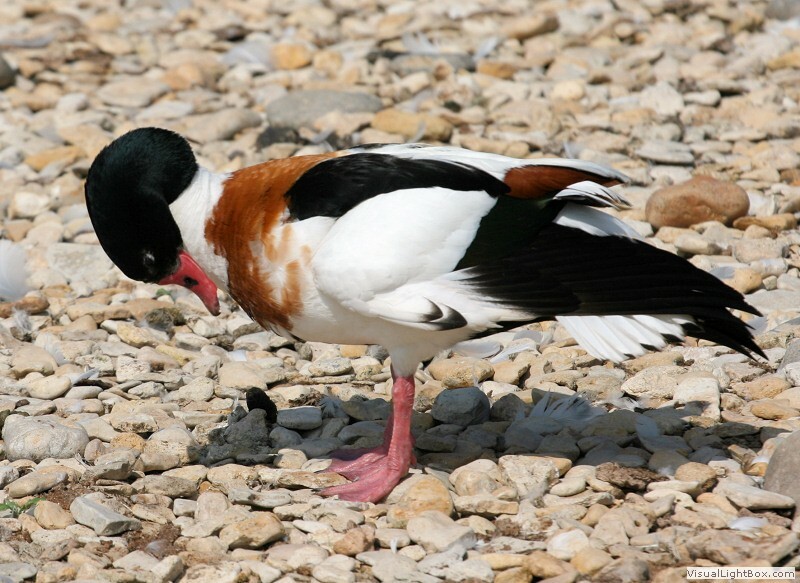 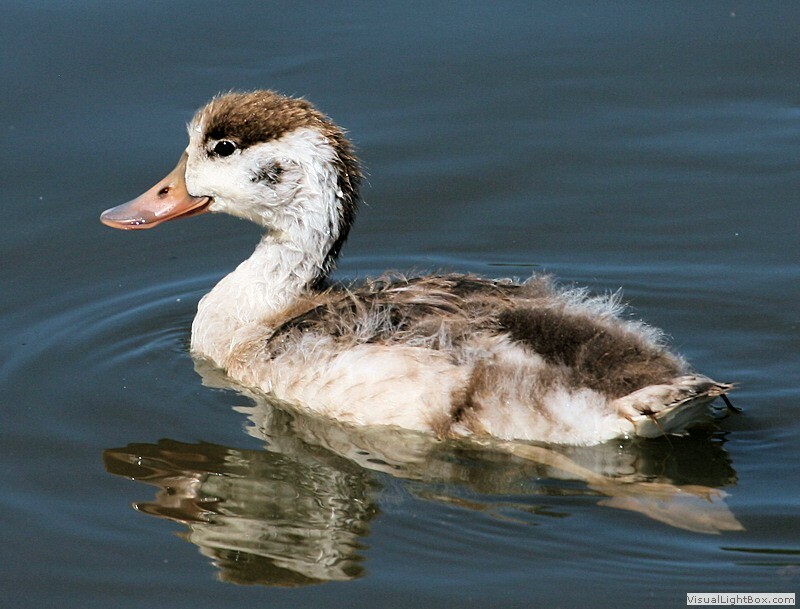 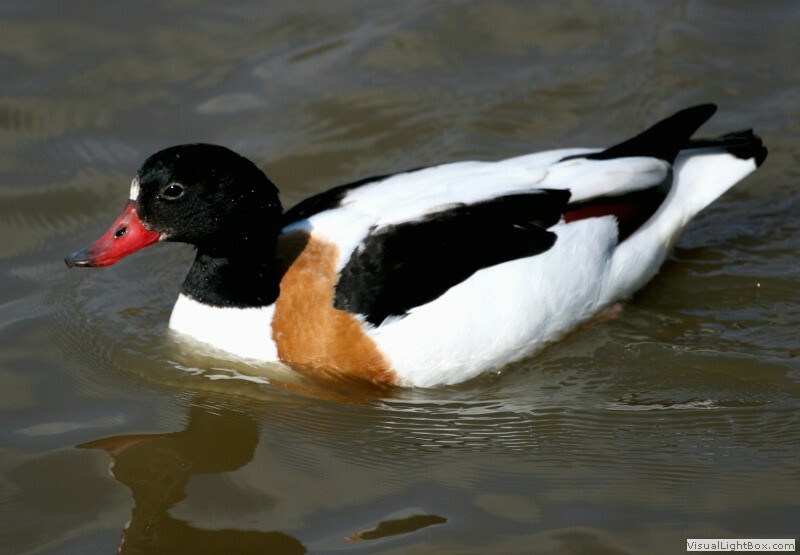 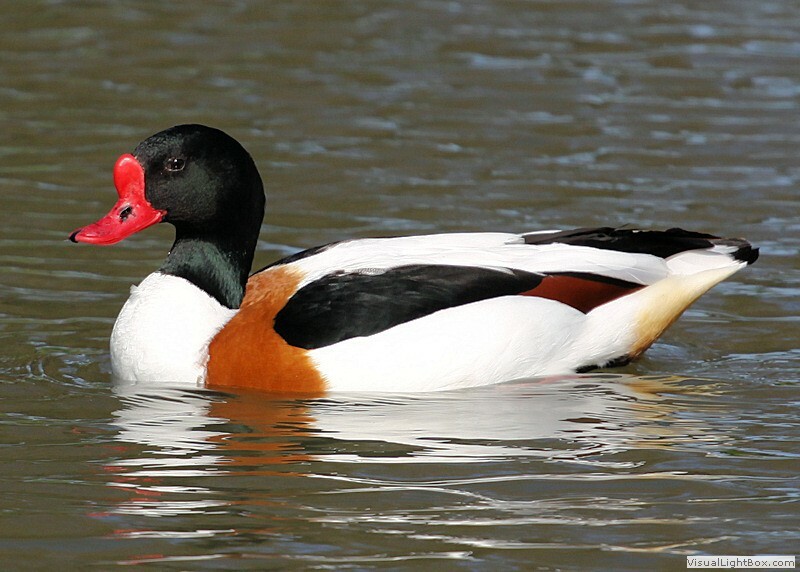 Appearance: - The male Common Shelduck has a dark glossy green head and neck. 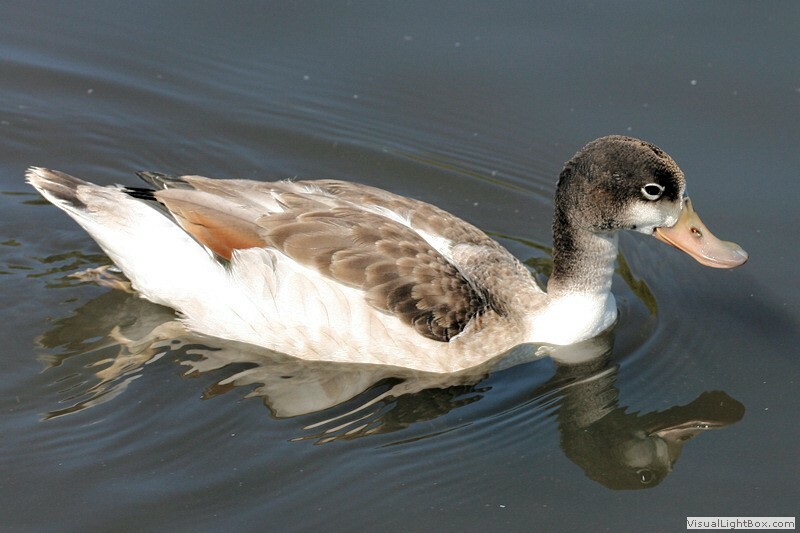 The lower neck and upper breast are white with a chestnut brown band around the breast and mantle, a white back, the underside is mostly white and the wings have black primary and secondary feathers with white forewings. The beak is red with a conspicuous knob on the upper base, and the legs are pink. 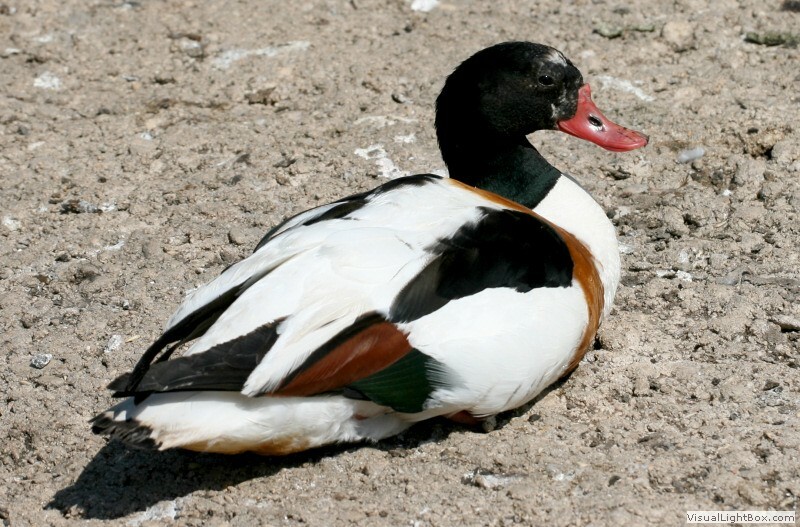 The female is similar but is smaller, duller, a narrow chestnut band around the breast, and does not have the knob on its beak. 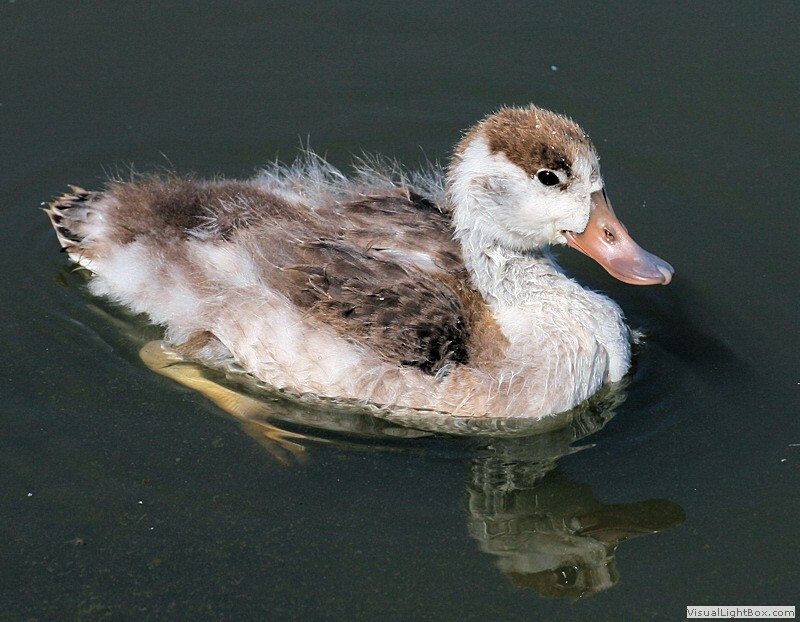 Size: - Typical Adult is 50-60cm (20-23.5in). 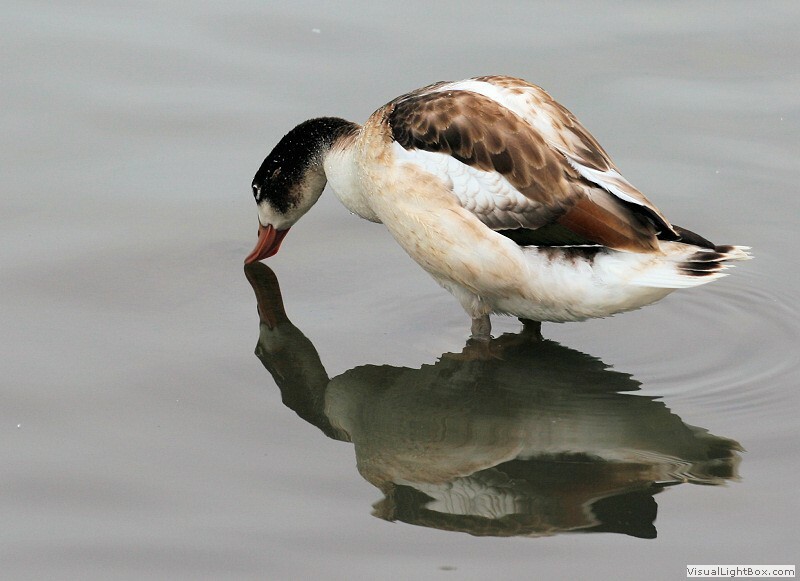 Food: - Molluscs, crabs, crustaceans, algae, grasses, roots, seeds. 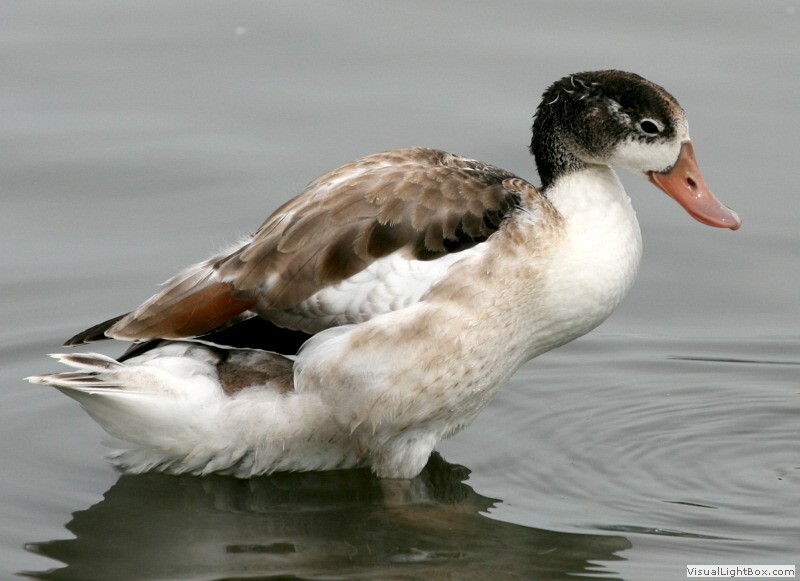 Habitat/Range: - Estuaries, coastlines, and salt marshes. 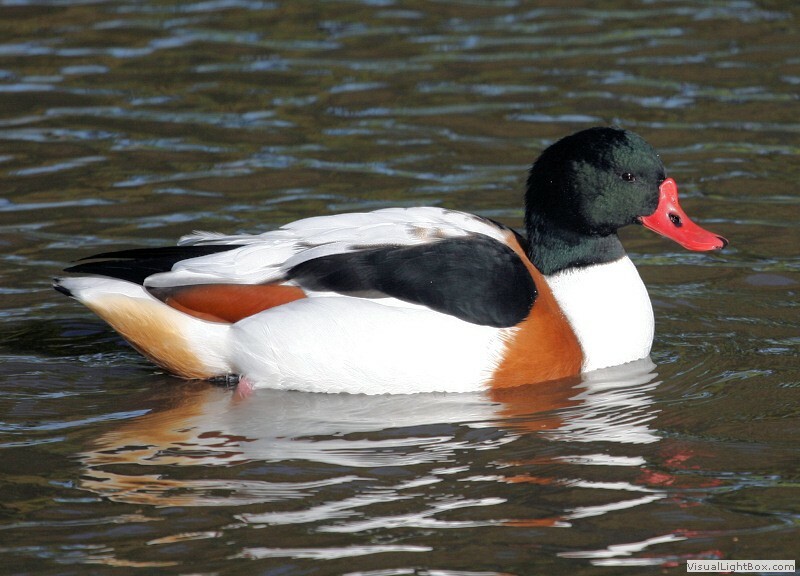 The Common Shelduck is widespread in the UK and north-west Europe where it is largely resident although most of the UK population migrates to Germany (Heligoland Bight), then through the Balkans and across into Asia to northern China. 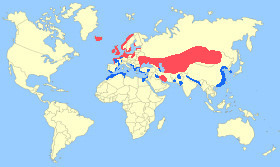 Winters in the south of Spain, the Mediterranean Sea, North Africa, Pakistan, northern India, Nepal, south-eastern China, and South Korea. 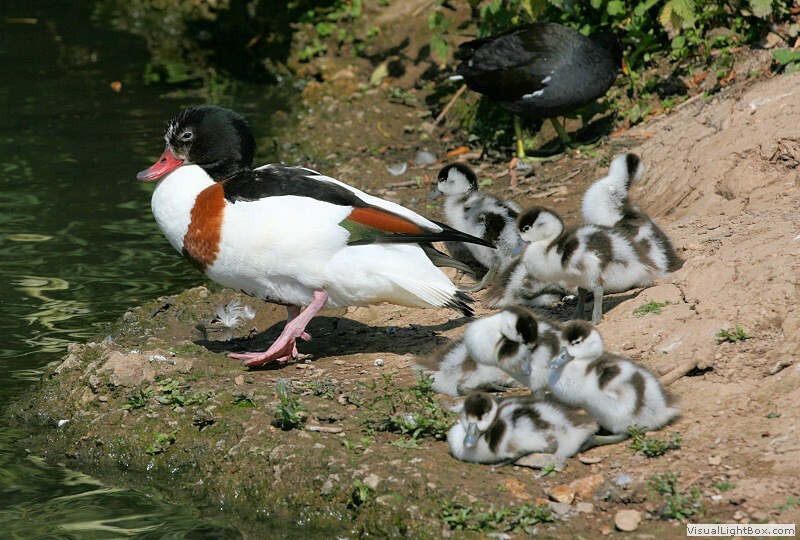 Breeding Season: - Early May onwards. 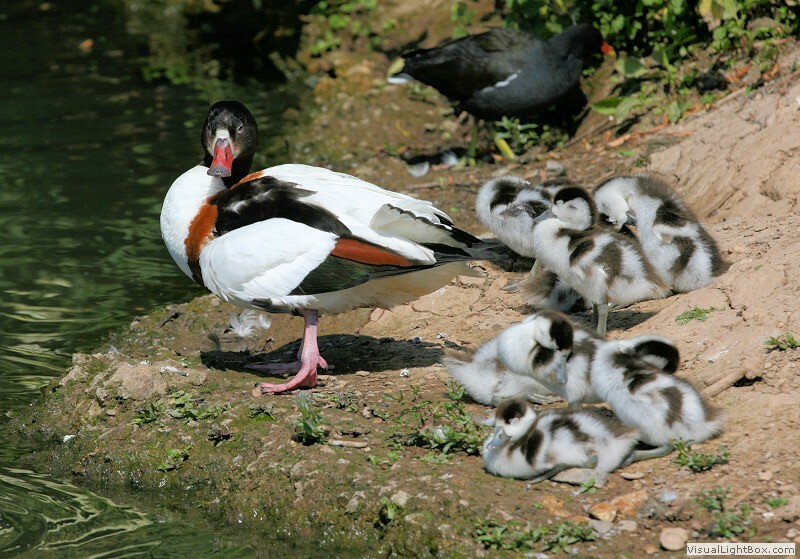 Eggs: - 7 to 12 (creamy white colour) incubated by female only. 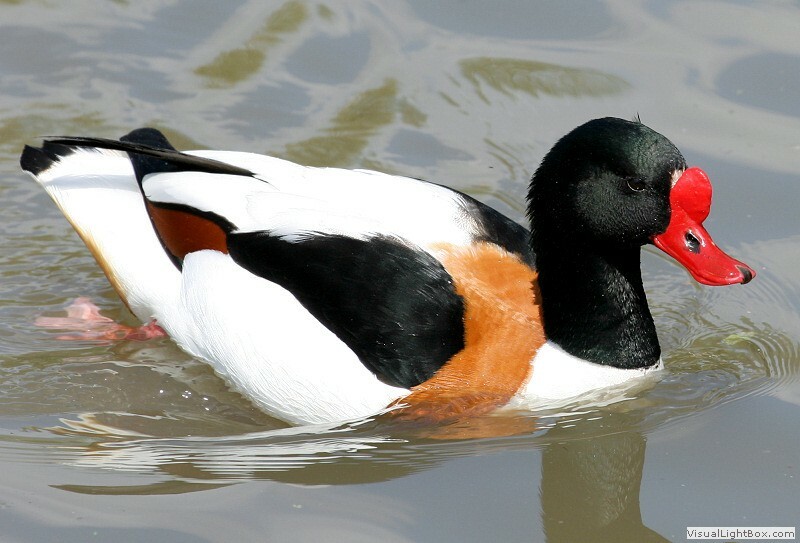 Notes: - Shelducks are very large ducks which spend more time out of water than most other ducks. 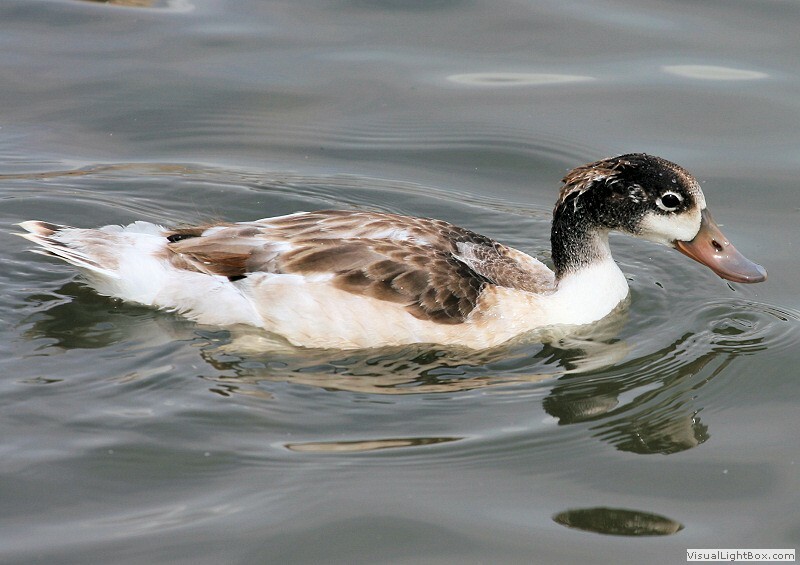 In July the UK population moulting flocks migrate to north-west Germany leaving the juveniles behind with a few adult birds to look after them.